﻿ The International Conference on "English Language Education in the Chinese Context"
The International Conference on "English Language Education in the Chinese Context"
The conference aims to establish a global knowledge-exchanging platform for English language education researchers, teachers and postgraduate students to share views and perspectives on issues and trends in how to teach or learn English in the Chinese context (China, Hong Kong, Taiwan, Macau, Singapore, etc.) or other regions with Chinese students. 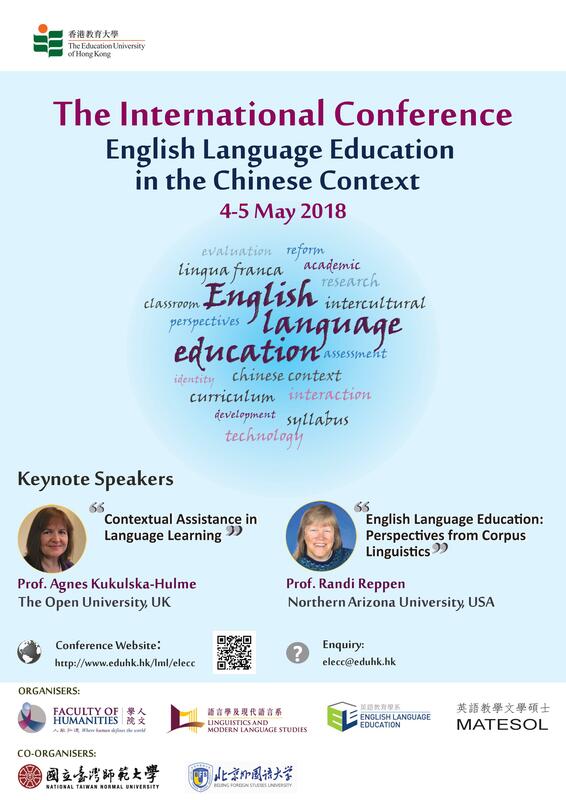 Participants could discuss and debate the present state, reform and development of English language education in their specific context. The conference has been supported by the Postgraduate Students Conference/ Seminar Grants of the Research Grants Council, Hong Kong.